DOWNTOWN KAMLOOPS is a charming neighbourhood to explore day or night, weekday or weekend. The illuminated trees, cobblestone streets, and lit-up shop windows set a unique atmosphere on any night or day of the week. Don’t worry, we’ve made a brief, budget-friendly list for the history buffs, foodies, night owls, romantics, and more! 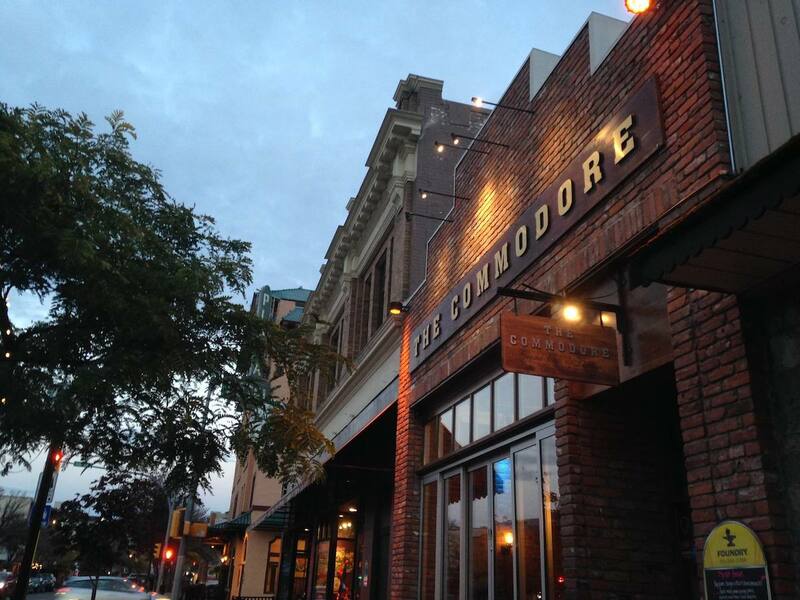 Open Mic Night every Monday at the Commodore Grand Café & Lounge – join the night of. Starts every Monday at 9:30 p.m.
Come cheer on your favorite hockey team, the Kamloops Blazers as they face off with the Moose Jaw Warriors tomorrow night at the Sandman Centre! The puck drops at 7 p.m. Tickets are on sale at ticketmaster.ca. The Kamloops Arts Council presents an art exhibition – Beyond the Forest & Almost Black and Whiteby Kelly Tilly Perry at the Old Courthouse. This exhibit opens on Jan. 16 and is here for one month. Make sure to stop by and take a tour! Learn how to reduce your waste and simplify your life at Simple Sways for a Simplified Life hosted by Enhanced Reflections Medi Spa this Wednesday, Jan. 16 from 7-9 p.m. There’s lots to learn at this event including how to save time and money by consuming only what you need, do it yourself recipes for personal care essentials (toothpaste, deodorant, shampoo, body wash, hand wash), tips for zero-waste living and questions and answers about living a zero-waste life. Aaron Pritchett Out on the Town Tour with special guest Kira Isabella and David James comes to Cactus Jacks Nightclub on Wednesday, Jan. 16 and 17. Join Adad Hannah for a tour of Adad Hannah: Glints and Reflections. The Gallery is honored to host Hannah and his work previously on exhibit at the Musee d’art de Joliette. As Part of his tour, Hannah will provide background on his process and discuss key ideas and works in the exhibition. Everyone is welcome. The tour is followed by an opening reception with Hannah attending. Experience something new on your next adventure downtown and post your photos to social media with #downtownkamloops! You can view a full list of upcoming downtown events at our website www.downtownkamloops.com, or visit www.tourismkamloops.comto view a full list of upcoming events in the city! Remember, the parkades on Seymour Street and Lansdowne Street are free on weekends. On-street parking is also free on Sundays and after 6 p.m. every day. 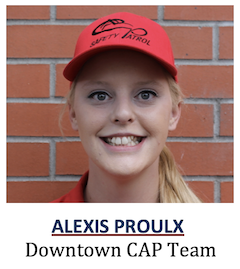 This article was written by Alexis Proulx, Customer Care and Patrol (CAP) Team Supervisor. Reach CAP at 250-572-3008/3009. Email capteam@downtownkamloops.com. Follow on Facebook, Instagram (Downtownkamloops) and Twitter (@downtownkamloops).